Vroooom...Vroooom! Selecting The Right Motor For The Application | Reliant Systems, Inc. In the precision motion industry, the customers’ motion profile is everything. How fast, how far, how quick can it accelerate, and what kind of payload is the stage competing with. 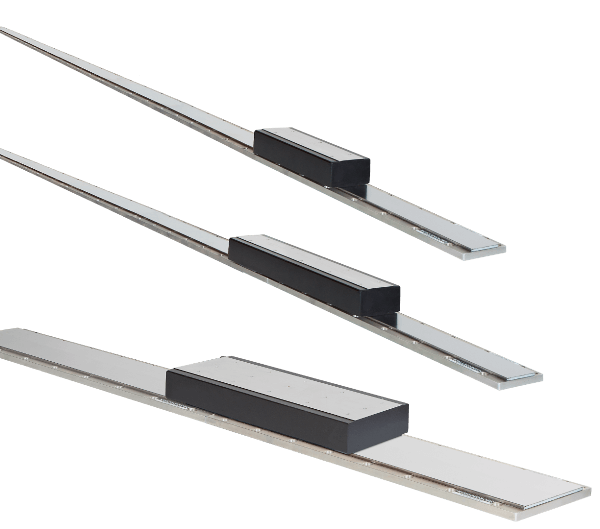 In a recent application, Reliant Systems had some aggressive performance specs to achieve with long travel linear stages so we selected an iron core direct drive linear motor for our design which allowed us to easily meet specs. We wanted to increase throughput and improve overall equipment effectiveness while having high power density, solid performance, and also be maintenance free. Regardless of its design, rotary or linear, flat or tubular, iron core or ironless, a direct drive motor has the benefits of eliminating mechanical components that can introduce backlash or compliance and degrade positioning accuracy and repeatability. The elimination of mechanical connections also reduces load inertia and allows more dynamic moves, i.e. higher acceleration and deceleration rates with heavier loads, and less overshoot and oscillation. A great comparison is in the auto industry. A specific motor is also used for each application. A Ferrari 488 GTB is all about performance, speed, and acceleration while a Ram 3500 with a 6.7L Cummins Turbo Diesel is all about the towing and payload capacity. Who would win in a race? Who would win in a pulling contest? Click the following link to learn more about direct drive motors.